No longer a prequel, eh? I like the idea of a new IP. Great name . One detail they can share: it's definitely not a music band (otherwise a lawsuit would come pretty fast ). I know about this medieval thing btw, but if it was a band like I joked about they certainly would sue for the similarity. Haven't found anything with Ion Maiden on discogs (the only results are for Iron Maiden, not Ion). Would be great if John "Ion Storm" Romero helped design a level or something. Cool name I dig it. Wrong on the first two, right on the third. I assume it's because of Bombshell's reception it isn't straight up called Bombshell now but will still tie into it...? What is the name of the first weapon in Bombshell? Yes, the first weapon in Bombshell is called the Ion Maiden. We thought it would make a cool name for the game and lose a lot of the negativity associated with Bombshell at the same time. When I did research to see if ionmaiden.com was available, I noticed it had already been purchased by Mike Nielsen of 3DR. Seemed like the right way to go at that point. Nice! I'm looking forward to hopefully seeing some gameplay footage (when it's ready, of course). The last screen Hendricks266 posted looked fan-dabby-dozy- tastic! No matter what is the exact name, I'm sure potential players are still waiting for the product itself! There may, however, be an issue, since Google is (currently) correcting "Ion Maiden" to "Iron Maiden"
If we know what we're doing, Google will learn and it won't be a problem any more. and google makes also a link to this here thread. 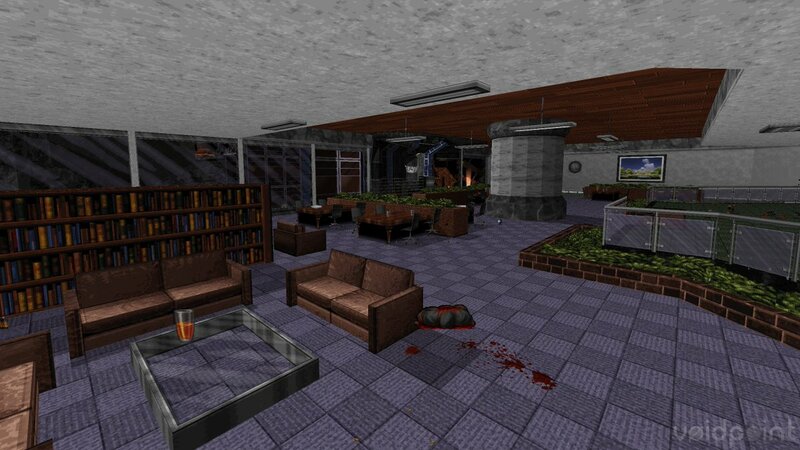 The future for Ion Maiden game looks good! I'm sure that 8 bit limitations are being respected, but is this game intended to be played in classic or polymost or (more likely I'm guessing) the player will have the choice? Perhaps the real question is which renderer will the game be marketed in? Classic and Polymost are both supported, but Polymost will be the default since performance for Classic degrades rapidly at or above 1080p, and new players may not like Classic's perspective warping. It should also work in Polymer if you drop in an eduke32.exe from synthesis, but it will not be present in the build we provide. Lookin' damn good! Can't wait to play it. Everything is looking nice so far! WOW. Look at all of the glitch free transparency. Can it really be Eduke32? Isn't transparency only an issue where models are involved? This game uses none. No, I believe the glitch he is referring to is that sometimes if you have a bunch of semi-transparent sprites lined up and you're looking through them at a certain angle, they might will show up in the wrong order. Has anyone asked about the possibility of a physical release? I would be very interested in a physical copy. I made a thread about Ion Maiden on NeoGaf. If there's anything I got wrong or something I should add don't hesitate letting me know so I can update the OT. Looks great ! Can't wait to play it ! Much like the "Interceptor bought 3D Realms" misinformation which never seems to die, technically Slipgate is a new studio with many of the same team. This paragraph started about Voidpoint the studio and continued about Ion Maiden the game. IM started as nothing more than an extra for that Deluxe Edition (for which we were not going to be paid) and grew into a stand-alone product months later. Voidpoint, LLC began as a joint venture between TerminX and myself in creating the Hail to the King Collection ports for iOS and Android. We took on Ion Maiden (working titles "The Washington Project" or "Project Washington", and later "The Washington Incident" [but not "Bombshell Codename: Washington Project" or "The Washington Experiment", which were invented by the author of those images]) and worked on the two projects in overlapping fashion until HTTKC was shelved. The ambiguity of what "90's techniques" means, possibly by trying to avoid jargon, leads me to rapidly oscillate between considering this statement false and true. I know of no other game bringing truly retro gameplay with truly retro tech. We're still using the original engine and its ideas, though with 20 extra years of development--replacing code, but rarely throwing out ideas. We're still using some of the same data formats, though their structure, workflow and tools have changed with time. We are definitely turning the era's original aesthetic and creative techniques up to 11. Calling it "retro rather than 1:1" sounds like we're closer to cheap Wolf 3D clones using Unity on Steam Greenlight than Mega Man 9 and 10. Of course it's not 1:1, that would require buying 20-year old hardware, forgetting about 20 years of advancements in art, music, computer science, etc, and selling the game only on CD-ROM or five floppies, available only by mail order and playable on MS-DOS. How can the Build Engine avoid limitations imposed on the Build Engine? Similar to above, Shovel Knight is not a good analogy here. Only the music is what you would call "authentic" if you were that purist about calling it an NES game. It excels at evoking the era, but the limitations in hardware, software, talent, resources, and human knowledge at that time forced decisions that Shovel Knight steamrolls. I'm not criticizing, I'm pointing out that SK and IM need to be taxonomized differently. >mod tracker music for about 20 years (the original Build engine has been modified to support this). The Build Engine knows nothing about sound or music. We added support for MOD, XM, IT, and S3M (via libxmp-lite) to our (quite distant) fork of Jim Dosé's Apogee Sound System, used by Rise of the Triad, Duke Nukem 3D, Shadow Warrior, Blood, the Redneck Rampage series, NAM, WWII GI, and Extreme Paintbrawl, alongside modern support for FLAC and Ogg Vorbis audio streams for sounds and music. >The content will be more or less unique from the full version. Much like the FEAR demo, the maps in the demo are redressed samples of portions of the registered version. "More or less unique" is a false promise that I do not believe Voidpoint is the originator of. >The final game is likely to have the face in the HUD, but it'll be more like Doom. I can confirm that the final game will have a face in the HUD, in much the same way as Doom. 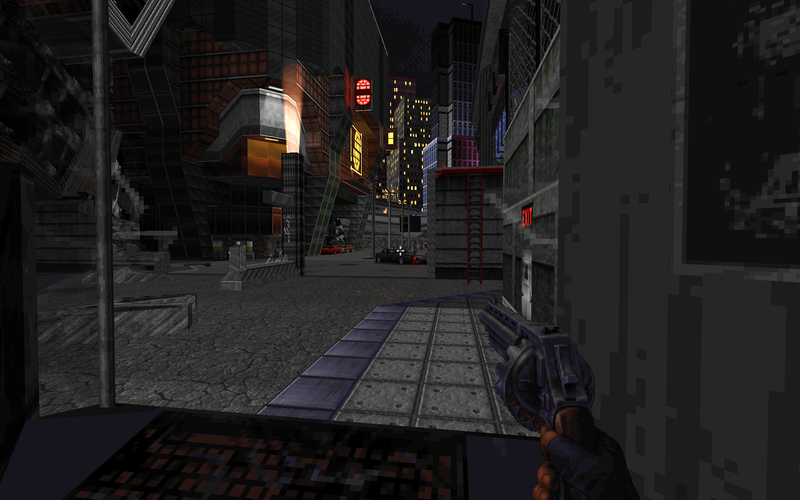 You should also mention that Ion Maiden's publisher is 3D Realms. is the main protagonist Bombshell "Shelly harison"? ?